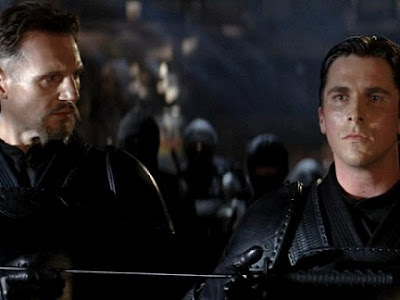 In Batman Begins, during an early scene where Ra's al Ghul (Liam Neeson) trains Bruce Wayne in the ways of the League of Shadows (“You fear your own power. You fear your anger, the drive to do great or terrible things”), he has the League’s warriors pounce on the young man in waves, each utilizing different fighting methods. The choreography in this scene feels less like a fight than a performance, a dance. With each of Ra's al Ghul’s utterances, the warriors around him move and organize themselves in different patterns. A terrific display of martial discipline, perhaps, but also a compelling expression of Nolan’s aesthetic – the thought made action, the notion that out of abstraction we can spin the world anew. So, too, in Inception, Nolan adopts an aesthetic that’s forever looking back, forever looking off, and forever isolating the character of Dom Cobb. (I wrote a bit about that here.) The film’s dream narratives are constantly influenced by external forces, whether from other dreams or (ostensibly) the real world, creating a unique mood of paranoia and regret. The most notable of these forces is, of course, Edith Piaf’s “Je ne Regrette Rien (I regret nothing)”, which literally beckons the characters back to reality and to a life lived without regrets. Importantly, when Nolan explores one of these ideas, he explores it from every possible angle: In Batman Begins, we see fear being used for both evil and good; in The Dark Knight, one character is consumed by guilt, another is liberated by it, and the film’s most gruesome villain is the one character who doesn’t suffer from any guilt whatsoever. In my Vulture piece, I suggested that maybe The Dark Knight Rises would have something to do with the return of the repressed, with masks being taken off, with the truth finally coming to light. And while I’d argue that all of these elements are definitely there in the new movie, I think the central idea of the film is a lot simpler than that. 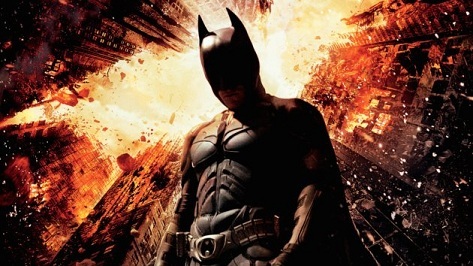 The idea behind The Dark Knight Rises is hope – as a force of both redemptive power and unspeakable cruelty. Similarly, the prison that Bane casts Bruce off into is built around hope: Prisoners sit there looking up at the sky, with the knowledge that they could try to get out, even though it’s pretty much impossible. Yet another situation where hope destroys man -- or is at least supposed to. Of course, hope lives on in good ways in the film, too – through scenes of little kids scrawling Bat-graffiti on walls and even near the end, when everybody thinks the town is about to be blown sky high, as John Blake (Joseph Gordon-Levitt) and Father Reilly (Chris Ellis) argue briefly over whether to put their orphaned kids back into the school bus to shield them from a blast that will surely vaporize them no matter what. And hope upon seeing the Bat-signal burned into the side of a bridge is also what drives Foley (Matthew Modine), a cowardly Deputy Commissioner, to come out of hiding, don his dress blues, and lead a police charge against Bane and his men (a charge which ends in Foley’s death). To that end, Nolan’s visual style in this film is a little different from the other films. The Dark Knight’s most characteristic image was perhaps that of the overhead cityscape, looking down -- often far, far down – at the action. Those high angles helped create a sense of judgment, appropriate perhaps for a movie about guilt. We see less of those high angles this time around, and more low angles: The camera is often looking up at Bane, for example, or up at the sky (especially in those prison scenes). It’s also worth noting that, unlike the other two films, most of this film takes place in daylight. And when you think about it, Batman’s final sacrifice is a reversal/redemption of Harvey Dent’s “sacrifice” from The Dark Knight. Gotham has been told that Dent died a hero at the hands of Batman, setting an example of rectitude and nobility that has been used to enact new laws that have kept criminals off the streets. This has eaten away at the heart of Commissioner Gordon (Gary Oldman), not just because it’s a lie, but also because it has established a false sense of hope. In some ways, it’s almost as bad as Bane’s prison – just as the prisoners live in a world where they’re confronted every moment by a freedom that doesn’t exist, the citizens of Gotham live in a world justified by a sacrifice that never happened. Batman’s final sacrifice is a correction of that lie, and it replaces that false hope with a genuine one. Of course, we could call this sacrifice a lie, too, since Bruce Wayne does get to live. But in both The Dark Knight and in this film, Nolan goes out of his way to represent Bruce and Batman as two distinct characters. (There’s a notable scene in the earlier film, when Batman shows Morgan Freeman’s Lucius Fox the elaborate, very illegal, and deeply unethical citywide sonar he has created out of Gotham’s cellphone signals; pointedly, even though Fox knows his identity, Bruce does this dressed as Batman, complete with his deep, growly “Batman voice,” establishing the fact that when Bruce is in the Bat-suit, he is for all intents and purposes a different person.) This is also where The Dark Knight Rises’ references to Charles Dickens’s A Tale of Two Cities play out most poignantly, since that novel ends with one character sacrificing himself so that another, his lookalike, may live on in happiness. Make no mistake, the hero’s death at the end of The Dark Knight Rises is very real. And it is perversely “hopeful”– with all the ambiguity that implies. Glad you liked the piece. I need to read those comics. I have to admit, back when I read comic books, Batman was probably the superhero I was least interested in. That's one of the many reasons I'm so fascinated by Nolan's films, and my reaction to them. Great piece. I too adore Nolan's work, and in particular this trilogy. I thought TDKR was a powerful and fitting end to the story. The one suggestion I wanted to make was regarding your comment about Bane's plan, and how it sort of auto-destroys. 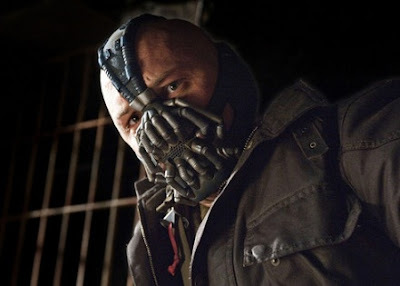 I think the notion of hope Bane wishes to instil is that Gotham can still be saved. Knowing an ordinary citizen has the trigger harkens back to the Joker's ferry quandary, where normal citizens have the power in their hands to destroy or save one another. Embolden by their memory of this event, the citizens of Gotham might just cling to the hope that, like in that particular ordeal, good will prevail (since Batman had nothing to do - the citizens would think - with that victory, as they are in the dark about Joker's back-up trigger). This, of course, is the false hope. Much has been made by detractors of TDKR that Gotham seems empty, devoid of the chaos you might expect in the wake of Bane's announcement; however, I feel that, much like Modine's character, the average citizens are content with lying low, keeping their heads down until this storm, as with the ferry sequence, passes them by. Their apathy is, in many ways, what everyone from Batman, to the Joker, to Bane, sees as the true cause of Gotham's pervasive corruption. Batman is meant to inspire people to stand up against such threats, but having been deceived in the wake of Dent's death, they have fallen back on apathy, which only adds to Gordon's and Wayne's guilt. I also thought that Bane's plan wasn't just completely about Gotham; didn't Ra's mention the League of Shadows as having destroyed cities in years passed? I always figured part of the plan was to destroy what they considered to be the most corrupt city as a way to affect society as a whole - as in, take Gotham as an analogue for New York City; what would happen if NYC was destroyed (we saw the effect a terrorist attack would affect not only NYC but the rest of the county and world; imagine if NYC had been completely decimated - I think Nolan's films have roots in stories from the comics but are very post-9/11). The bomb would eventually go off, but the only people who would have known that it wasn't an "ordinary citizen" who set it off would be Bane and Talia/Miranda. The rest of the world and any other survivors would assume a regular person pulled the trigger. I figured that was the bigger picture of Bane/Talia's plan - to affect or, in their eyes, bring "balance" to society in a larger sense. Anyways, really loved your review. This film was absolutely wonderful to watch! I've just been to see it and I was so thrilled with the balance of the screenplay in staying true to batman's roots; gently delivering some of the comicbook storylines whilst wielding heavy punches in twists and turns.